In the event of an accident, law enforcement officials will perform an investigation to determine the cause and to identify responsible parties. When a collision involves public transportation, this investigation process is also critical to determine fault and to prevent future accidents and injuries. After an MBTA bus crash earlier this month, the driver of the bus has been cited for speeding, operating to endanger, obstruction of justice, and impeding operation. 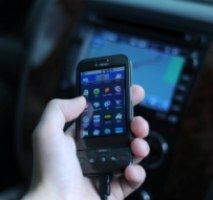 According to reports, the traffic citations are related to the driver’s use of a cellphone while behind the wheel. Whether talking on the phone, texting, or surfing the Internet, driving while using a phone can be extremely dangerous. Our Boston car accident attorneys are experienced in representing victims of car, truck, and bus accidents caused by negligent and inattentive motorists. We understand the deep impact of injuries and will help victims and their families recover for pain and suffering, medical expenses, lost wages, long-term care, and other associated losses. The accident occurred after the driver lost control of the bus, smashed into a guardrail, leaving the vehicle dangling from the Washington Street overpass. The driver as well as 7 passengers were treated for injuries and taken to the hospital for additional care. Authorities reported that none of the injuries were life-threatening. Based on a review of the surveillance cameras on the bus, the investigators suspect that the driver was using her cell phone at the time of the accident. According to reports, the 43-year-old driver worked for the Massachusetts Bay Transportation Authority since 1996. After a preliminary investigation, the driver was also accused of misleading officers after the crash. The accident investigation and disciplinary process have not been completed and officers are still trying to determine what caused the accident. The use of cellphones is prohibited under MBTA rules. The Massachusetts Bay Transportation Authority has banned operators of buses, subway cars, and trolleys from even having a cellphone while on duty. Under the policy, drivers get a 10-day suspension for any violation of the rule. If they are found with a cell phone at work a second time, the violator is fired. Any driver caught using a cellphone while on duty is given a 30-day suspension and could lose their position. MBTA rules have been strictly against cellphone use since a 2009 Green Line crash resulted in 49 injuries. In that accident, a driver failed to notice warnings because he was texting. Fourteen drivers have been fired since the rule was imposed. Records obtained from the Department of Motor Vehicles indicated that the driver was involved in a crash in April and was found to be more than 50% at fault. The driver was also involved in several other crashes, one in 2003 and another in 1994. In addition to an accident record, the driver was also cited for speeding, seat-belt violations, and moving violations including failure to stop and illegal passing.